After exploring Palma in depth —you can also leave it for the end—, take the PMV-1041 road, also known as “Jesus Trail” and drive a few kilometers to Puigpunyent. This is a small village at the foot of the Sierra de Tramontana, a beautiful starter before exploring the mountains. If you have time, it’s worth stopping for a walk and even do some hiking excursion. From Puigpunyent, if you feel like going to the sea, head to Banyalbufar, a quaint coast village. Leave the car in the village and take any of the paths to the beach. Don’t forget to look back to admire the crops and cultivation areas surrounding the village. These are arranged in levels in order to take advantage of the slopes towards the sea. 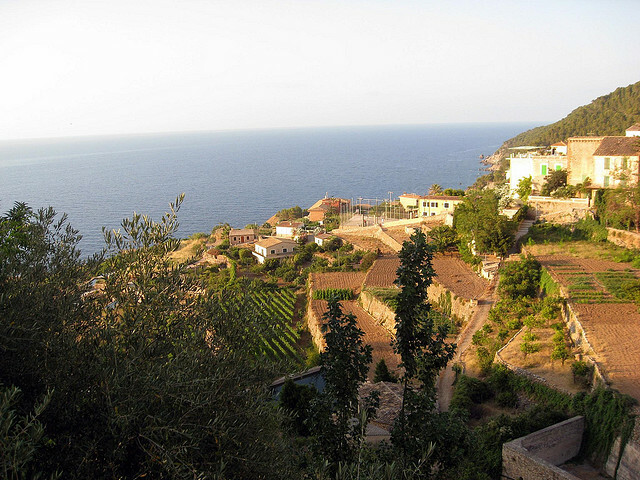 From Banyalbufar, take the C-710 until you reach Valldemossa, one of the most important locations in our route. Any literature and culture lover should spend at least one night here and imagine the distinguished writers who lived or vacationed at the resort: George Sand (with music composer Frederic Chopin), Ruben Dario, Jorge Luis Borges, Jovellanos, and many more. You will find stone houses, narrow streets and spectacular views everywhere you look. The main attraction here is the Royal Monastery, where King Sancho lived in the 15th century. 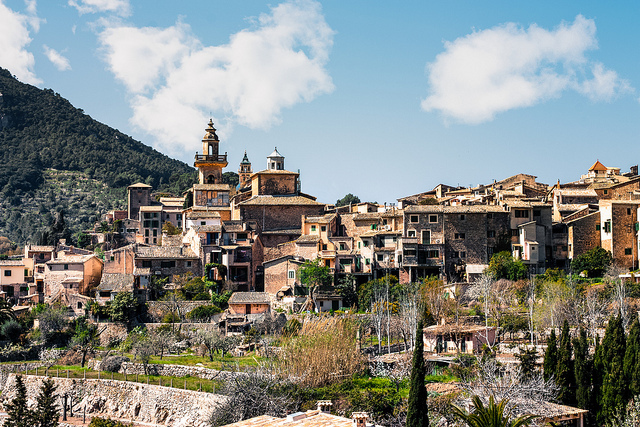 Leaving Valldemossa behind will lead you to Deia, one of the most popular villages of the Tramontana Mountains and the perfect base for a stay in the area if you also want to have the beach nearby. 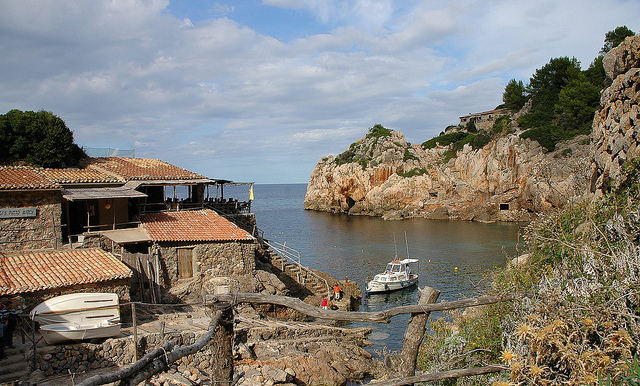 Deia, along with traditional stone cottages and amazing views, also has a lot of hidden coves where you can spend a relaxed day. Don’t forget that this is a very touristy place, so you will have to look hard to find deserted corners. 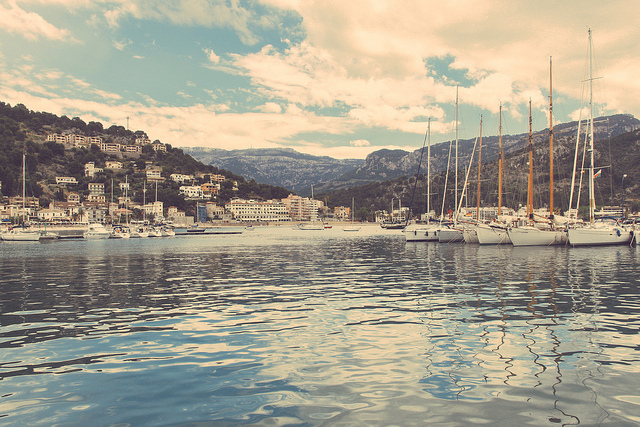 Soller is only a few kilometers away from Deia. Here, it is essential to visit the Cathedral, the Church of St. Bartholomew Soller, built in the 13th century and where Romanesque and Gothic styles blend almost naturally. If you want to see Port Soller, the touristy natural harbor, leave the car and get on the tram: a 5-kilometer journey opened in 1913 that still retains some of its original wagons. Leave Soller behind and continue to Cape Formentor. If you like, you can stop at the beautiful Sanctuary of Lluc to visit the monastery, the gardens and, above all, admire the views. The road to the cape is also one of the most famous routes in Majorca: curves, cliffs and breathtaking views that will make you want to stop every few meters. Fortunately, there are many viewpoints on the way, so you will have the chance to take tons of photos! Would you like to visit Balearic Island beyond the touristic places. 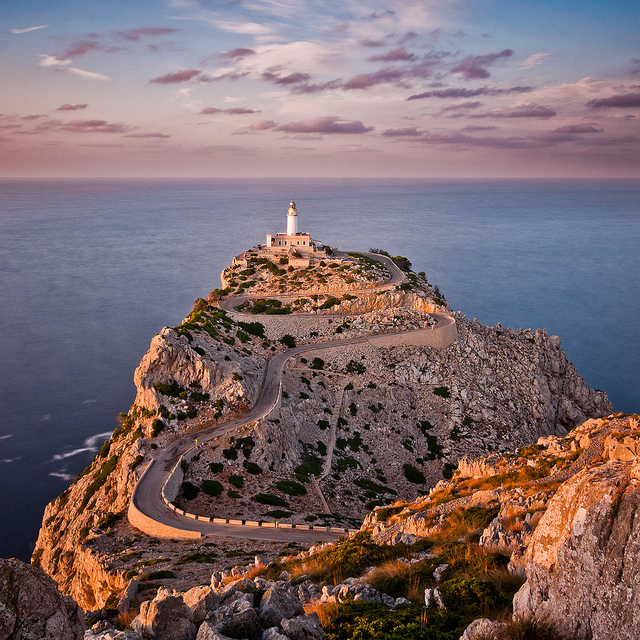 Discover the best beach and mountain routes in Majorca. Get your rental car & enjoy! !